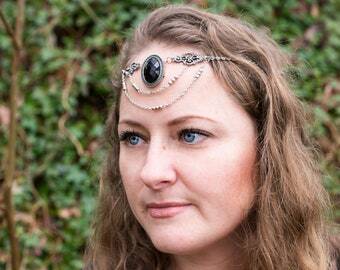 This stunning bronze elven crown features brown, amber and bronze rhinestones and an antique brass finish metal filigree and settings. 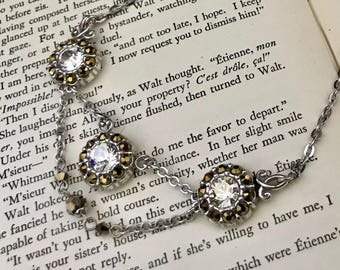 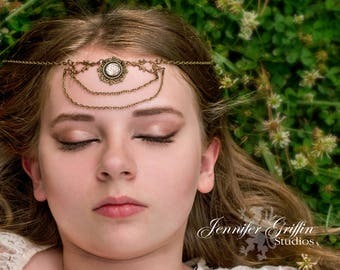 If you need the perfect head piece for your fairy costume, elven costume, hand fasting ceremony, fairytale wedding or something for the Renaissance festival or any festival, then this amber and bronze hair circlet is what you need. 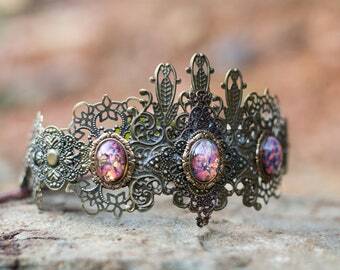 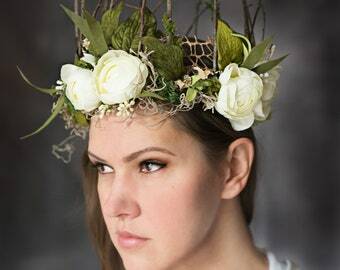 With it's warm tines and autumn feel, this crown would be fabulous for fall and autumn festivals as well. 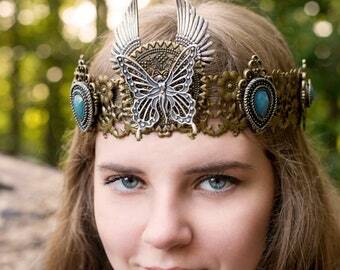 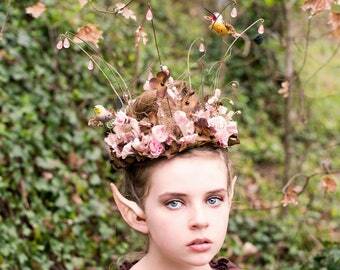 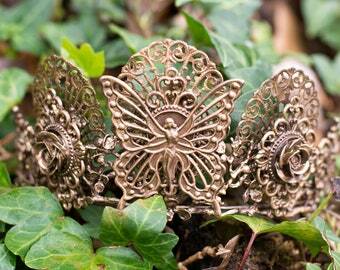 This hair jewelry crown is attached with wig clips. 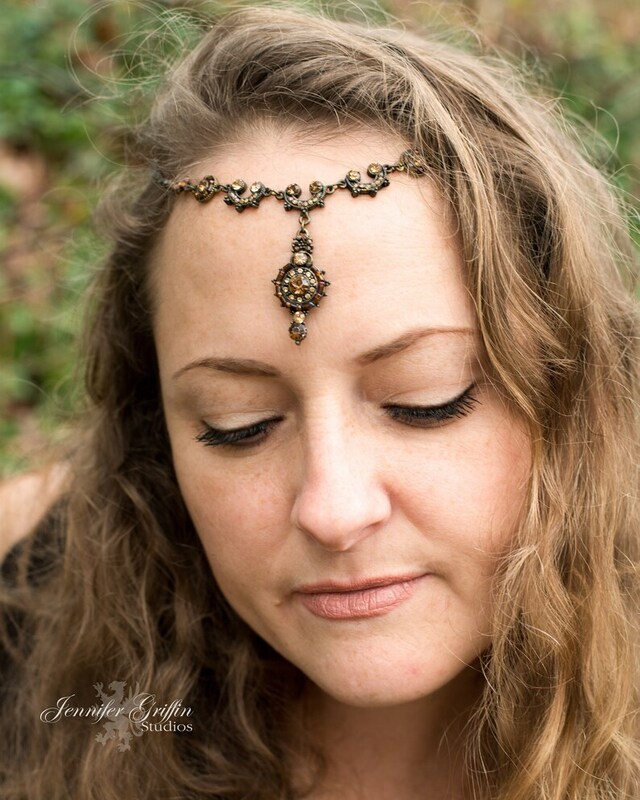 Wig clips are designed to clip to the smallest, thinnest hair so no matter if your hair is long or short, thick or thin, you can wear this piece.